Methodically designed and crafted for the whisky alchemist in you. 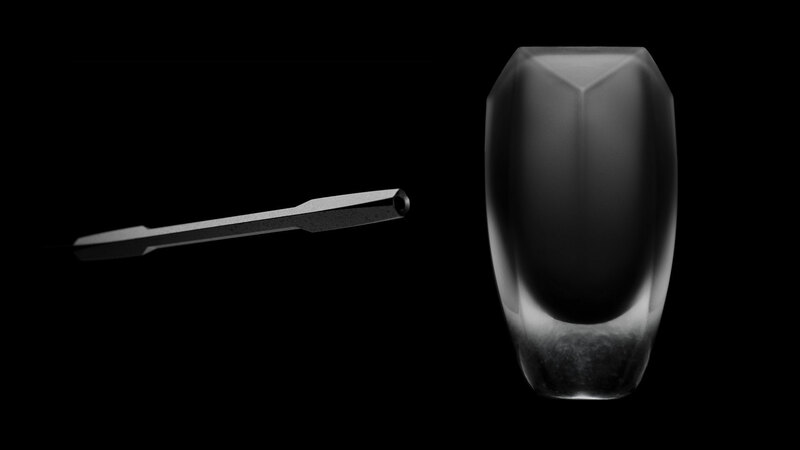 The Drave Water Pipette & Carafe diptych balances advanced digital design, precision machined production, and avant-garde glassmaking, for the intimate whisky ritual. Here we dive deep, hold our breath in the depths, reach out and grab onto something new and not before seen. 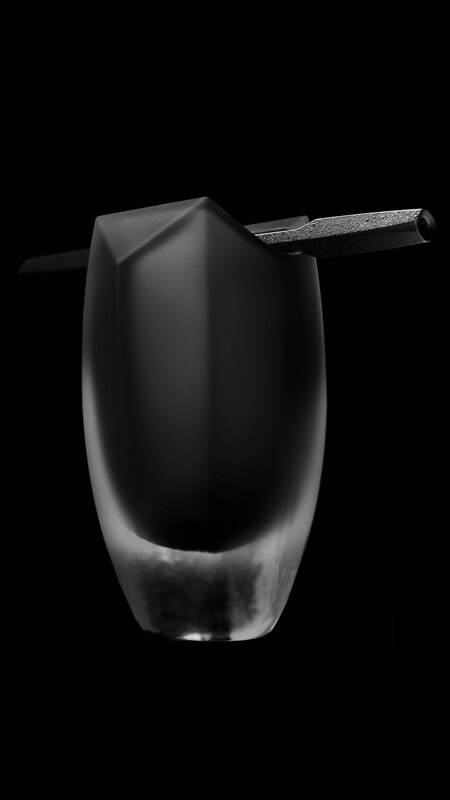 It is a carafe, paired with a pipette, for the sole application of water droplets to the whisky in your glass. The set takes its name from the Old Scottish word "to draw"—water into the pipette, an altered aroma into the nose, an extended spirit onto the tongue. These are objects for the whisky alchemist in you, transforming your spirit through the slow, ritualized addition of water to whisky. Drop. By. Drop. What's in a drop of water. There are 20 drops of water in 1 ml. The Drave Water Pipette is designed to be a 1 ml measure of water when taken from the submerged triangular facets. A recommended pour in the Norlan Whisky Glass is 20 to 40 ml. To dilute a dram by 10% in the Norlan Whisky Glass, take two measures from the pipette for a 20 ml pour or fours measures for a 40 ml pour. Whisky is a complicated spirit. It’s comprised of alcohol molecules, water molecules, and a myriad of flavor compounds, not all of which are fully understood. These elements arrange themselves in particular patterns and when water is added to your whisky, the strength of the alcohol changes, altering the pattern of the chemical compounds in your glass. Change the pattern and you change the flavor profile of your whisky. What’s the reason for doing this? As seen with the Norlan Whisky Glass, the whisky tasting experience can be dramatically improved when the alcohol present in your spirit isn’t allowed to rule the show. When you add water to your whisky, a little bit at a time, you can open up flavors and aromas that may have been suppressed by the alcohol. So. Take the pipette deftly between your fingers. Draw the water and add to your whisky. Nose. Taste. Experiment. Discover your ritual. The Pipette pulls the eye into perspective acrobatics, a square profile that manages to compress its dimension around a vacuum bore. The aluminum is first extruded and milled, then tumbled against porous rocks before being anodized and finally shock sprayed to create a uniquely textured matte surface. The depressions on the ends are tailored to fit the fingertip, allowing you, the user, to arrest the central pull of gravity by vacuum, and draw your water from the carafe. It is a new type of object, this carafe; a left of center, unorthodox, ultra-futurist form. Watch as it rides the blurred lines, breaking format from organic to geometric, from gloss to matte, and from transparent to opaque. Digitally designed, it is methodically brought to life over the course of five hand crafted processes involving mouth blowing glass, diamond wheel cutting, sanding, polishing, and oiling.